The Downtown West area in The Division 2 is home to The Campus settlement which is the third settlement in the game. 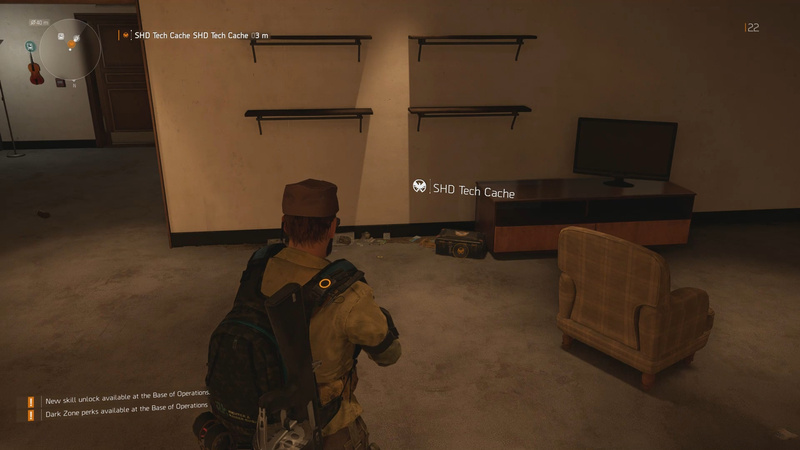 This area of the map features a few collectible SHD Tech caches for you to find. 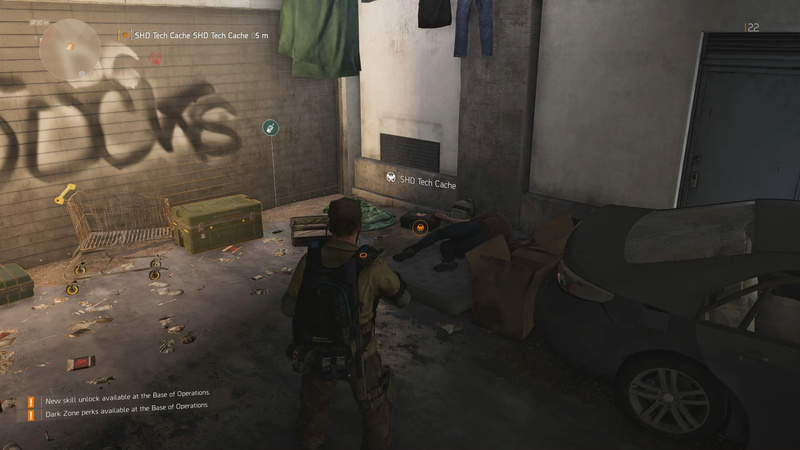 This post will show you the Downtown West SHD Tech cache locations. 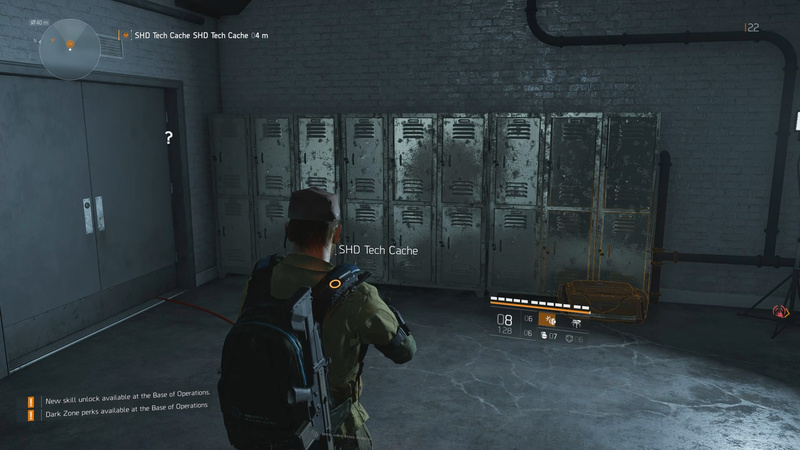 There are a few SHD Tech caches located in the Downtown West area including five granted via the Worksite Community Side Mission. Note: To have the SHDs marked on your map, access the The Campus settlement and interact with the agent’s computer there. This will mark points of interest on your map. To reach SHD Tech cache 1, go into the parking lot via the entrance off of H ST NW. In the parking lot area there is a set of stairs leading up to another level. Go up the stairs and look for a door marked “Exit Do Not Block.” Shoot the lock off the door and go inside to find the cache in this maintenance room. From the SHD location above, head to the building to the south across H ST NW. Enter the alley of the building via entrances on the north or south sides so you are standing in an alley area that runs through the middle of the building. Head west and you will reach a fenced area. Jump over the fence and look for a door marked “Keep Door Closed.” Shoot the lock and head through the room to reach the cache. 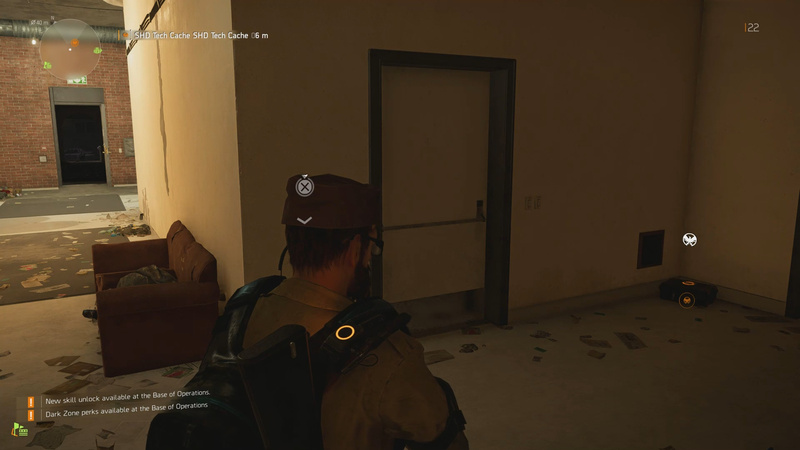 There is an SHD Tech you can collect during the side mission Worksite Community. This mission involves responding to a distress call from Shawn. 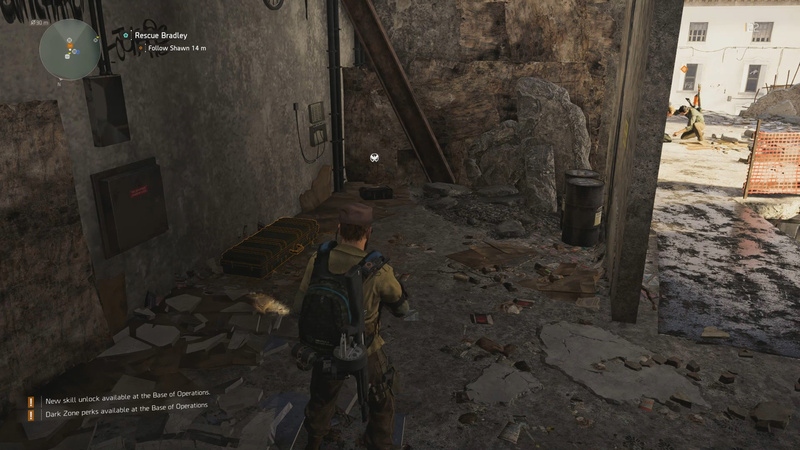 Once you’ve played to the end of the mission (when Shawn is rescuing Bradley), walk to the right of them into the area with alcove. In this alcove is the cache. On the northside of the building along F ST NW there is a trailer blocking the way. Turn south at the trailer then climb over up the blue metal cages along the brick fence and climb up to the yellow tarp. Go inside the open window to reach the cache. There is also an Relic in this room as well. On the corner of 21 St NW and 1 St NW there is a building with an alley that is enterable from the northside. Go in the alleway and look for a locked door. Shoot the locked door and go inside the room. Go down the hallway to reach the cache. That’s all the Downtown West SHD Tech Cache locations. Use these to buy Perks and trick out your Agent to be more useful in and out of battle. Thoughts on our Downtown West SHD Tech Cache Locations guide? Drop them in The Pit below. This would work better if you posted the numbers for your items in the map itself. For example, I cannot tell which one to read and then explore for the SHD in the South East corner.